Around the world, these shops are starting to bring applications forward to provide customers a broader service range. In Taiwan, two large convenience store chains are now working to launch their own mobile apps in order to offer a broader service range to shoppers, and to take advantage of what online shopping can do for their businesses. 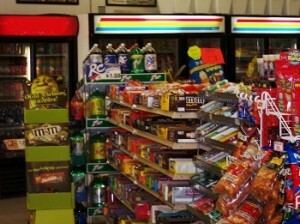 Should they be successful, this could have a notable impact on the convenience store industry in the country. That said, this trend toward mobile apps by convenience stores is not exclusive to Taiwan. Certain retailers in Japan and the United States have also revealed that they are working toward the development of various ways to provide their shoppers with a multichannel experience by bringing in-store and online commerce together. These have involved rather aggressive investments in mergers and acquisitions with various e-commerce businesses. The natural place for the mobile apps trend to find its start is in Taiwan, due to the nature of its convenience store sector. That country has the greatest concentration of this form of retail stores among all countries on the globe. The directions taken by its convenience chains frequently suggest the types of moves that will be made by other chains around the world. Now that it has placed such a serious and evident focus on mobile applications, it is easy to believe that others will follow suit. The company behind the largest convenience store chain in Taiwan, President Chain Store Corp, has announced that it is currently developing a big data cloud and computing system, and that it will be incorporating multichannel payments solutions, as well. This will allow for a mobile payments and m-commerce experience at all of its 5,000 outlets, said the company. The second largest convenience store chain in the country, Taiwan FamilyMart Co., has said that it is launching a trial for its mobile apps, which will be brought to its 2,929 stores, some of which have been equipped with iBeacons in order to offer a geolocation based component to its experience. This way, the iBeacons can detect when a customer with the app has entered the store and can send that individual mobile marketing communications such as information about promotions, coupons, and offers.